After 15 years at the Office of the National Coordinator for Health IT, Kelly Cronin, director of interoperability for health care transformation and the first ONC employee, will be transferring to another federal position, the agency said. Cronin will step into the deputy administrator role at the Administration for Community Living (ACL), according to an internal ONC memo Thursday. "We are excited for Kelly to have this new opportunity," National Coordinator Dr. Donald Rucker wrote, thanking Cronin for her services. "She will not be far from us on the 6th and 7th floors." Cronin helped establish the initial start-up team and foundational programs at ONC and went on to lead the State Health Information Exchange program, the Beacon Community Program and the Office of Care Transformation. Collaborating with many outside stakeholders and CMS on health IT enabled value-based payment models, Cronin "provided impactful technical assistance to states that facilitated their own approaches to health IT enabled payment reform," Rucker said. "Her leadership and deep knowledge of health IT and healthcare writ large has been instrumental in ONC's success over the years." 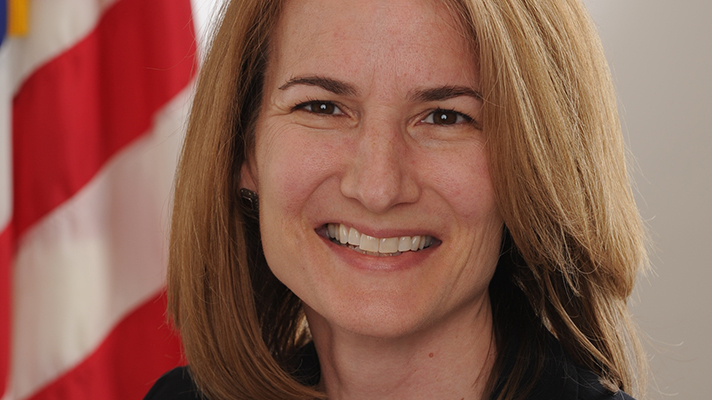 Cronin will leave big shoes to fill, as her departure comes on the heels of ONC’s latest report, calling for renewed efforts to advance interoperability. Even though 96 percent of hospitals and 78 percent of physician practices have adopted certified health IT — too many hurdles still stand in the way of progress, according to ONC’s "Annual Update on the Adoption of a Nationwide System for the Electronic Use and Exchange of Health Information" — the agency’s annual report to Congress mandated under the HITECH Act. The report found that despite HIPAA, patients still lack the ability to access health data and that makes it harder to manage their health and shop around for medical care and providers also lack access to patient data at the point of care. "[Kelly] has served this organization well through all of its stages, but most importantly she has served the American people with excellence and will be greatly missed," Rucker added. "Please join me in wishing Kelly the very best."